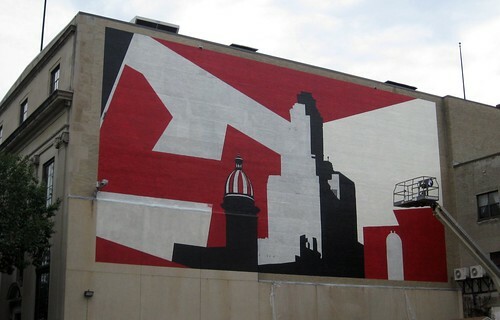 Shepard Fairey’s mural is underway on the Pell Chafee Theatre on Aborn Street. 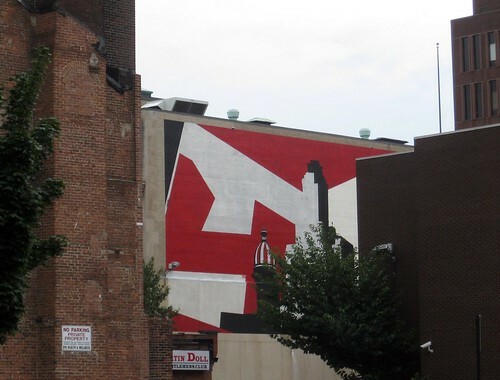 Fairey is of course most famous for his Obey stickers which can be found around the city and around the world. As well as the Obama poster controversy from the 2008 elections. From what I understand, this will be Fairey’s largest mural to date. Woneffe quoted in the Projo, picked up photo and all…? I sure hope you get some cake outta this deal, man. I bet if I insisted on cake, Sheila would oblige.